Meléndez favored arrangements of everyday objects painted with sober yet sensuous realism. 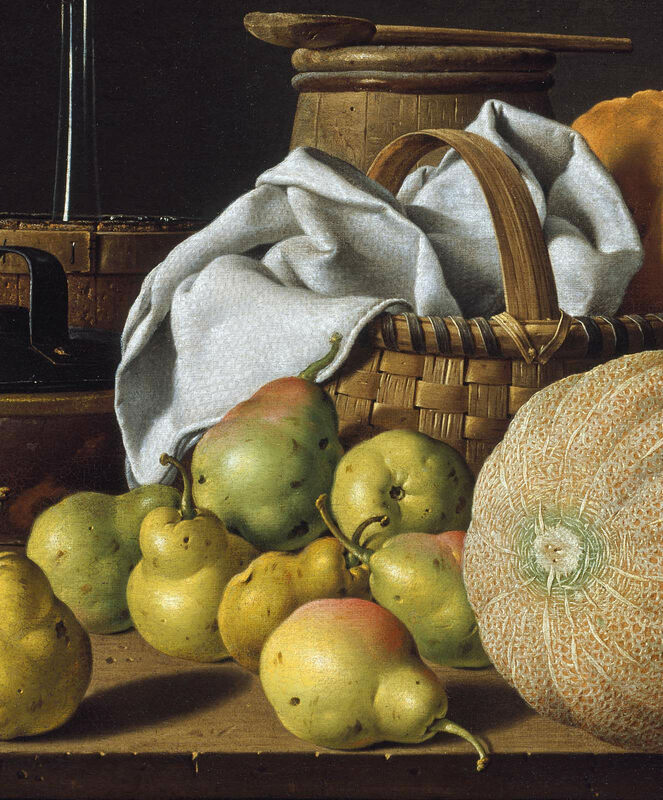 He savored shapes, surfaces, and colors—from the webbed rind of the melon to the glint of a wine bottle cooling in a cork bucket—and despite the profusion of objects, his paintings convey a satisfying sense of balance and measure. 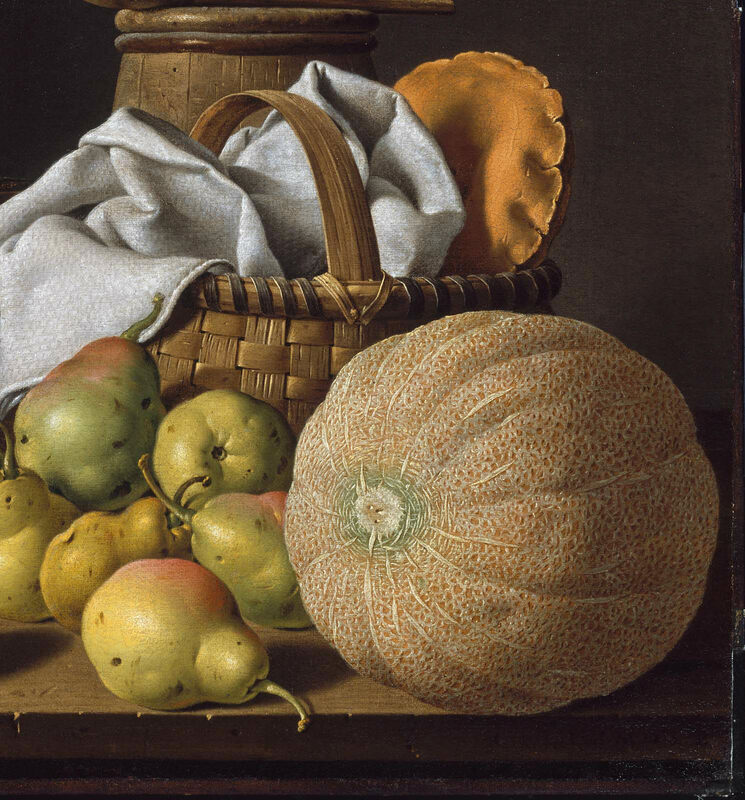 This still life may be from a series of forty-five, said to represent “every species of food produced in Spain,” that Meléndez created for the king’s summer residence outside Madrid. Ironically, many were painted at a time when poor harvests had produced severe food shortages. The artist himself had no money to buy food, claiming that his brush was his only asset. 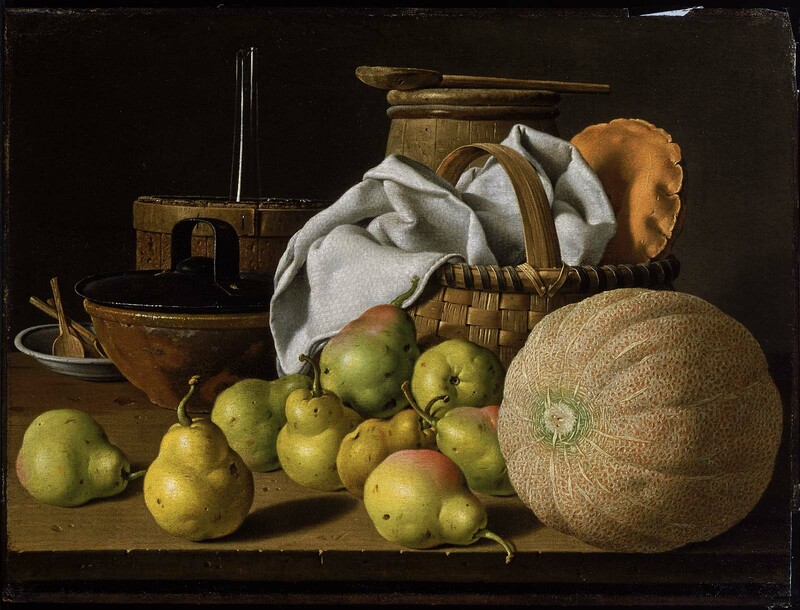 Lower right, on edge of table: EG L M D. S. P.
 Eleanor Tufts, "Luis Meléndez: Eighteenth-Century master of the Spanish Still Life with a Catalogue Raisonné (Columbia, MO: University of Missouri Press, 1985), 92-93, cat. no. 59. According to information provided by the Matthiesen Gallery (December 1, 2005).